Do you ever get lost in a good book? It happens to me at least once a week. Last week it was Kisses from Katie. 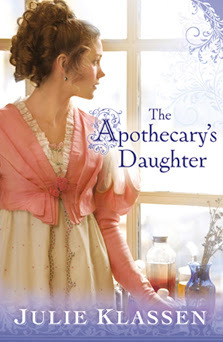 Today it's The Apothecary's Daughter by Julie Klassen. Total opposites (except they both happen to be by Christian authors) in that one is an autobiographical tale of serving Christ in Uganda and the other is historical fiction set in rural 19th century England. I've read The Apothecary's Daughter three times already, but I never get tired of it. I read so much it's not uncommon for me to sometimes forget exactly what happens in a book, even when it's one I love, so when I go back to read it a second (or third! or fourth!) time, I always find something new. 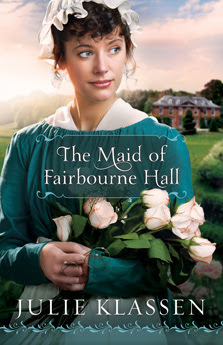 Thankfully for me, Julie Klassen has just released a new novel titled the Maid of Fairbourne Hall, which I'll be purchasing just as soon as I get paid again. I've read lots of historical fiction found in the Christian section of the bookstore, and not all of it is very good. 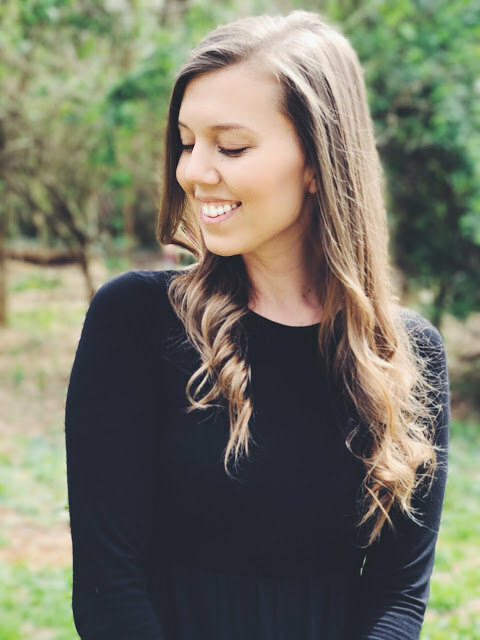 This can be said of any genre, but I find that much of what is available, particularly for Christian women, always seems to be written from the perspective of a 19th century Amish woman, or a plucky, independent bride fresh off the boat (or the Oregon Trail...your choice). Rarely do I find contemporary novels with Christian themes in them, and if they exist they're hard to find. I'll keep searching. Until then, Julie Klassen's books are amazing, not the least bit campy, and simply wonderful for a rainy afternoon. Sunny days, too. Just bring a cup of tea.